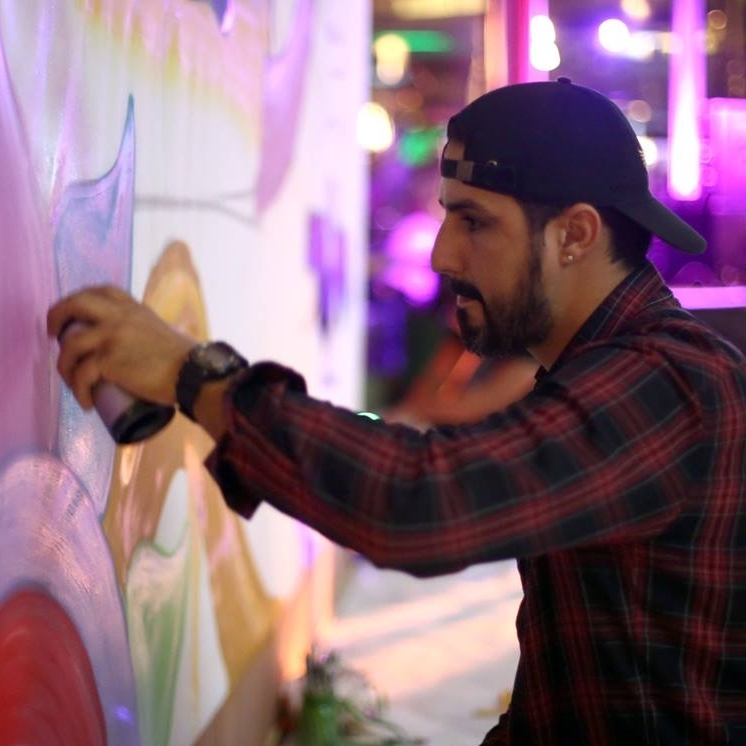 Born, raised and staying on the Calle (Calma), LINEUP, a Puerto Rico born graffiti and graphic artist is known for his swirling abstract designs and his chronic letters. Meticulous in his linework, LINEUP brings his influence from the street to his imagery whether on a wall or canvas. As an underground abstract artist, LINEUP is fearless using an unlimited palette of colors to paint his colorful abstractions using the decaying landscape as a background to his paintings. The result is usually a vivid and planned splash of color in surprising locations throughout the city. We're proud to be able to offer a tight range of original art, prints and merchandise for LINEUP and to be able to work with him on special projects.